As fundamental as Kopprasch, Maxime-Alphonse, Gallay, et. al are to horn playing, it’s important to have some variety in our practicing. One way to do that is to build your library of etude books. There are a number of newer collections out there that perhaps aren’t well known or just end up getting passed by. 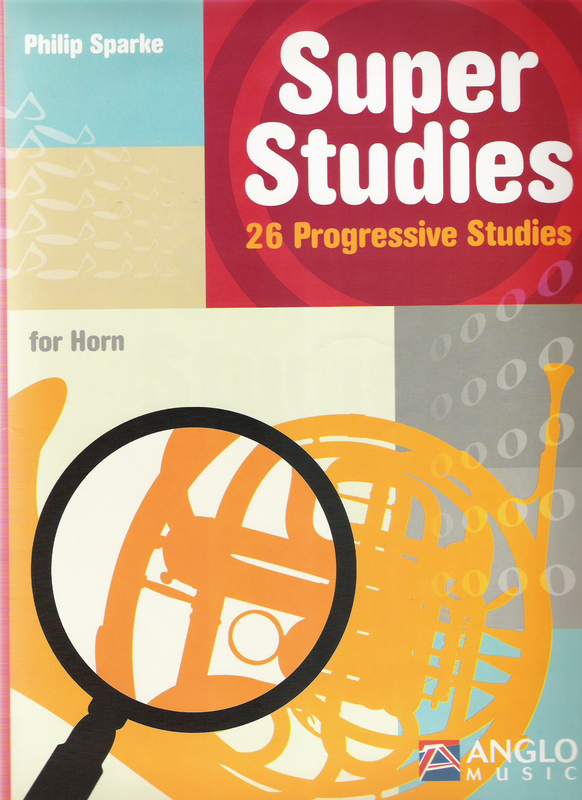 I picked up Philip Sparke’s Super Studies: 26 Progressive Studies for Horn while at a music store in Charlotte, NC, and I’ve been working out of it periodically over the last several months. Philip Sparke is a British composer primarily known for his concert band and brass band works, although he has published a number of solo and educational works as well. Super Studies is the third volume in a set of three related etude collections, the first two being Starter Studies and Skilfull Studies [British spelling]. Super Studies (and I imagine the other two volumes as well) is more or less progressive, with each study focusing on one or two areas of technique. The standard issues are covered, such as flexibility, double/triple tonguing, scales, and staccato/legato, but many of the etudes also deal with some topics less often brought up in other etude books. No. 4 “Baroque Melody,” is a study on Baroque style and rhythm, No. 8, ‘Threasy Does It,” is a finger strength and coordination exercise, and No. 26, “Threes, Fives, and Sevens,” covers asymmetrical meters (5/8, 7/8). Although the range is quite manageable (f to a”), there are several tricky technical things well worth studying and working out. If you’ve ever heard any of Philip Sparke’s advanced concert band works or solo Euphonium pieces, you know his writing can be quite virtuosic. One last point of interest is that there are no tempo and very few dynamic markings in any of the etudes. The composer explains the reason for this in the Introduction. In short, this is a great collection to supplement the standard etude repertoire, and at around $10, it’s a great bargain.